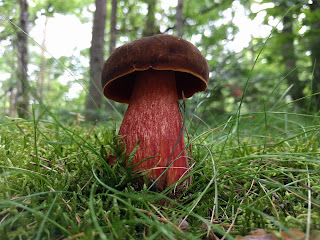 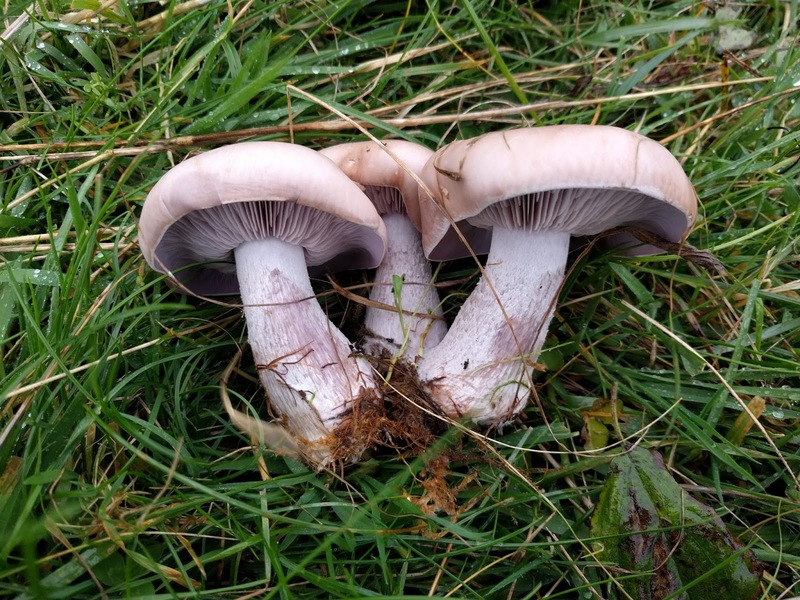 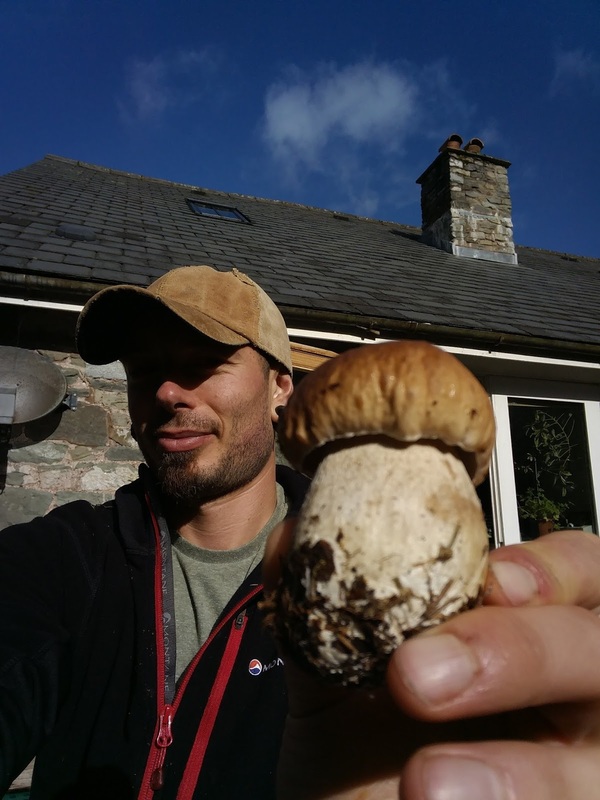 It began for me in June with an unknown Bolete to me, it stained deep blue when cut, but I was assured by an experienced French friend that it was edible, and so it proved to be. 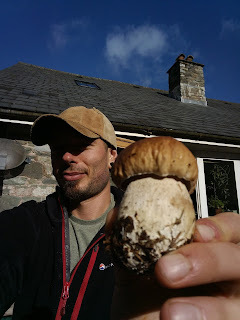 ...and, come October, Welsh Ceps (Boletus edulis) and Chanterelles in no lesser numbers! 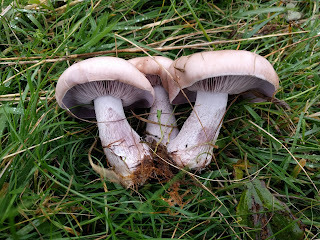 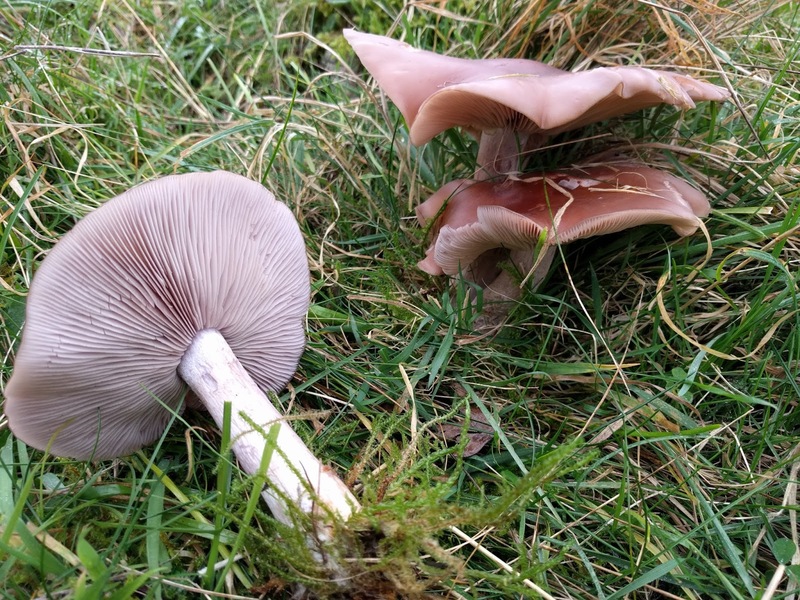 Now we are into winter it is the season for Wood blewitts (Lepista nuda) in Somerset. (p.s. 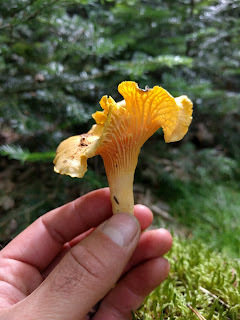 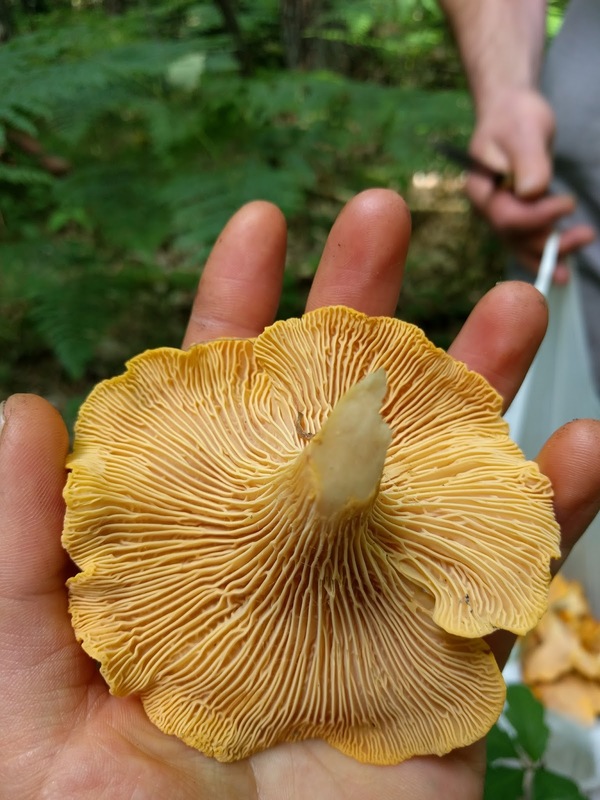 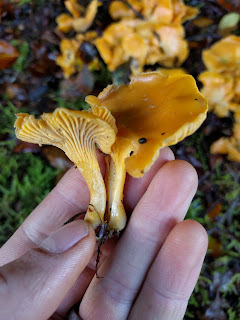 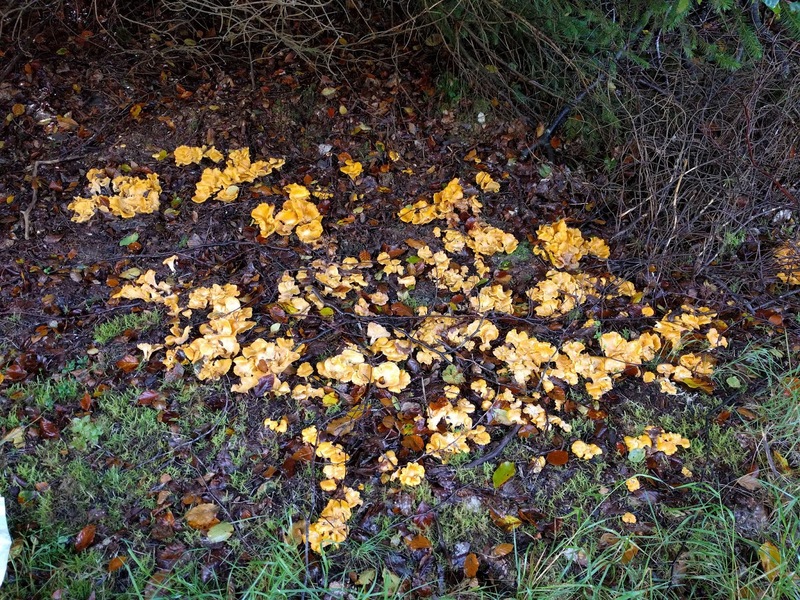 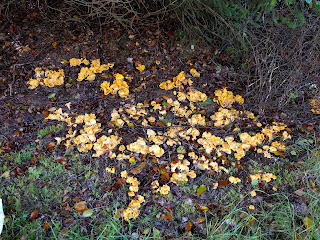 don't ever eat wild mushrooms unless you are 100% certain of their identity, or know them to have been collected by someone whose competence and caution is unquestionable).